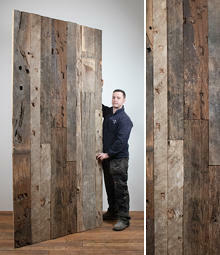 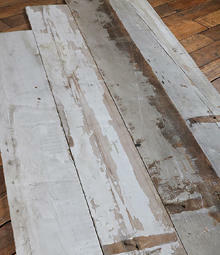 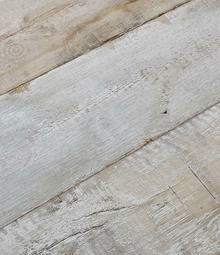 English Salvage stock thousands of square metres of reclaimed wood flooring. 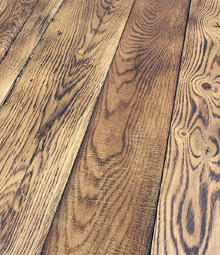 The most common flooring material we stock is pine. 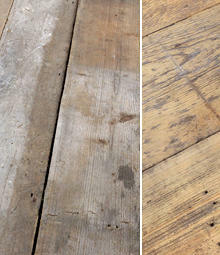 The rarest form of pine flooring are original wideboards from the Georgian period, these tended to be from 8 to 12 inches wide, with lovely patina from hundreds of years of use. 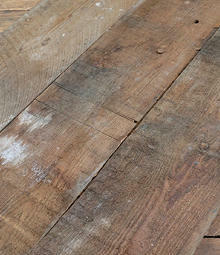 Victorian floorboards are one of the most popular types of reclaimed pine boards that we sell, although they are hard to find. 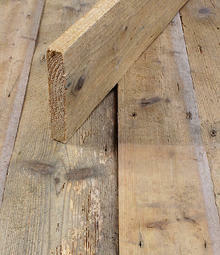 We also have a huge variation of different pine floor boards and reclaimed roof boards of all dimensions and colour, from pale straw colour to rich orange and widths from 4 inches and above. 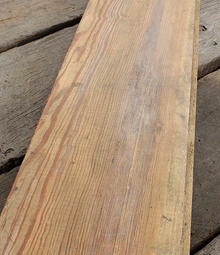 We sometimes get original pitch pine boards, which are incredibly dense and a deep orange colour. 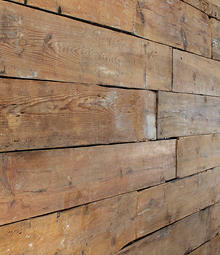 We often sell our boards for use as cladding in shops and restaurant refurbs. 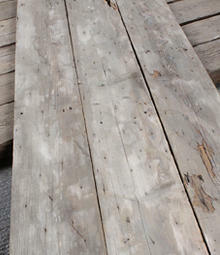 We tend to sell our boards denailed, but not sanded or planed, this way the customer can control the level of finish that they require. 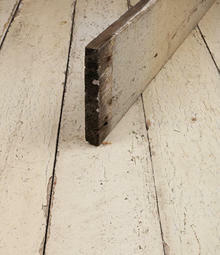 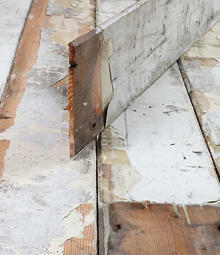 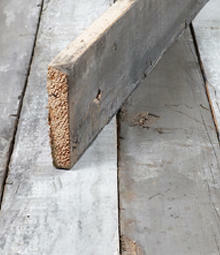 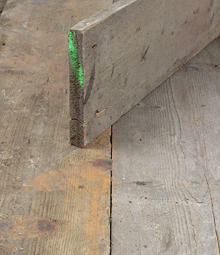 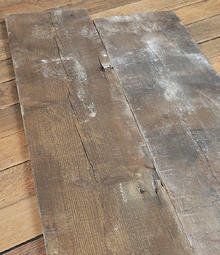 Our preference is to retain as much of the character of these old boards as possible. 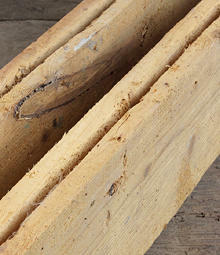 Old pine is generally from slow grown trees and is much harder wearing than modern pine. 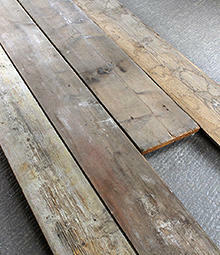 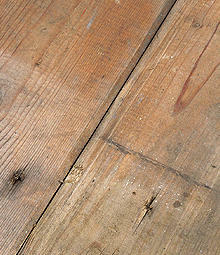 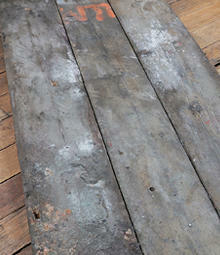 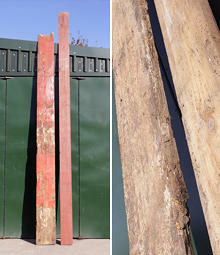 We also maintain good stocks of other antique wood boards, such as oak, elm, chestnut and other hardwoods. 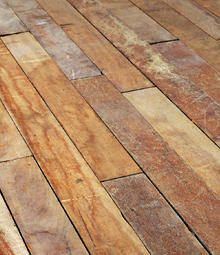 Strip flooring, primarily beech or maple is also popular. 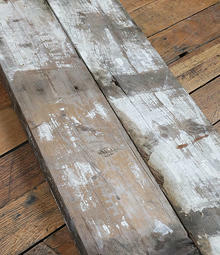 The rarest floors that we find are original English 18th Century wide boards, so these attract a premium, but we also stock old oak boards sourced from France and beyond.